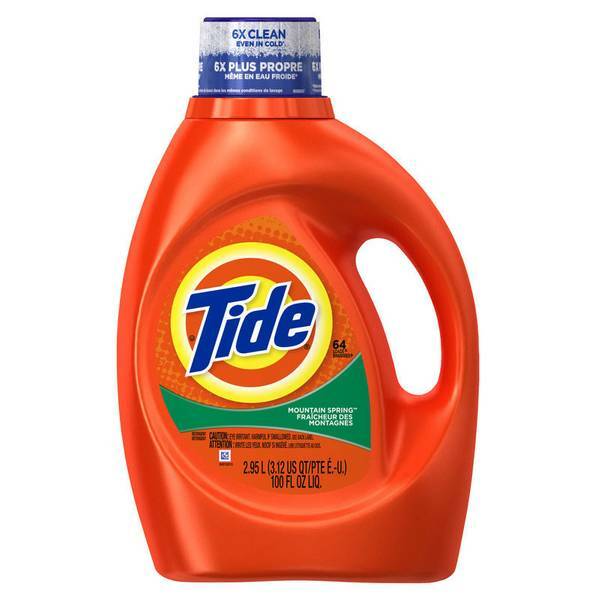 Tide Liquid Detergent with Actilift, Mountain SpringTwice as powerful, so you only use half as much. Helps keep clothes looking newer longer. High-powered grease-cutting formula is effective on tough, greasy insitutional stains. Labeled Toxic Ingredients: FD&C BLUE #1, Carcinogenic. SACCHARIN, Carcinogenic. FLUORIDE, Possibly carcinogenic. Scorcher: This company has a lot more love for money than the only blue planet. Tell them that’s not cool and you know it. Not cool! !